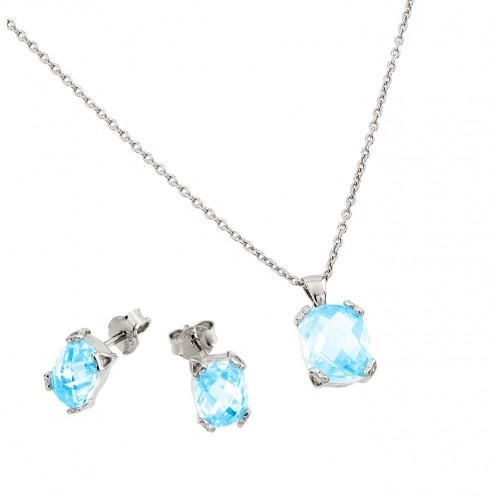 Diamond Essence Earring And Pendant Set With French Cut Aquamarine Essence Stones In Platinum Plated Sterling Silver, 5.50 Cts.T.W. Earrings created with 1.50 Cts. Each Aquamarine Essence stones. Pendant with 2.50 Cts.T.W. Aquamarine Essence.